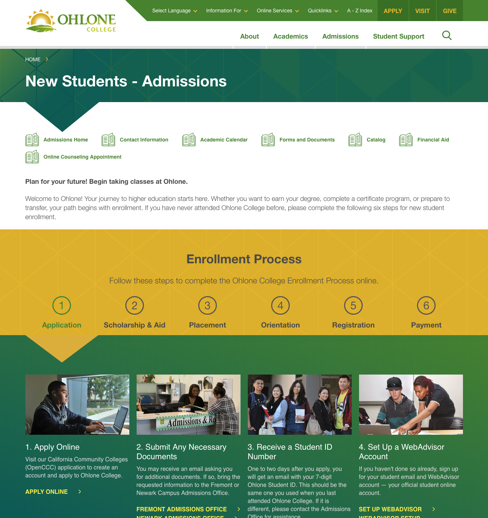 Ohlone College is an ethnically diverse institution that promotes innovation and continuous improvement in departments and divisions. 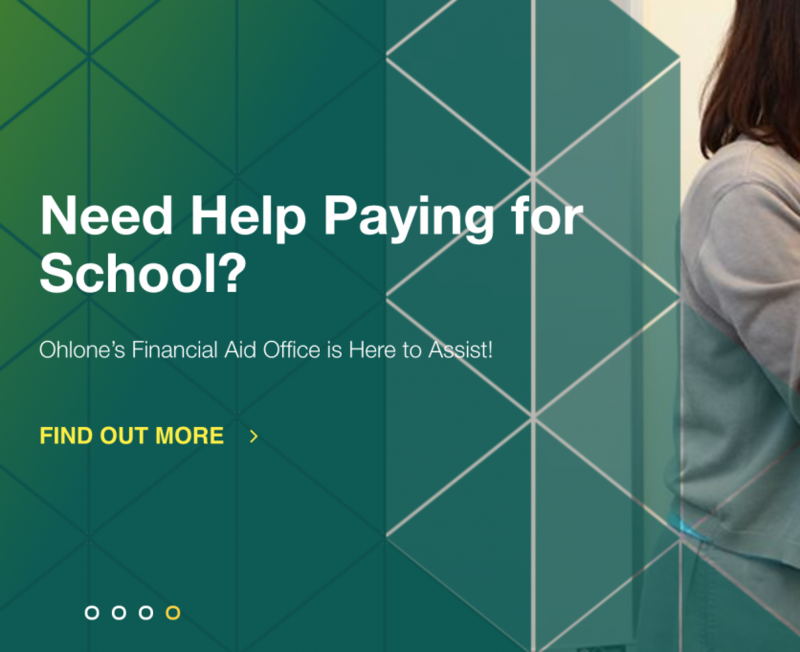 With a new brand introduced for the college, we looked to design a build a bright website to showcase their new direction. Site analytic reviews and collaborative discussions were held to find the best approach to showcasing the content prospective and current students needed front and center. 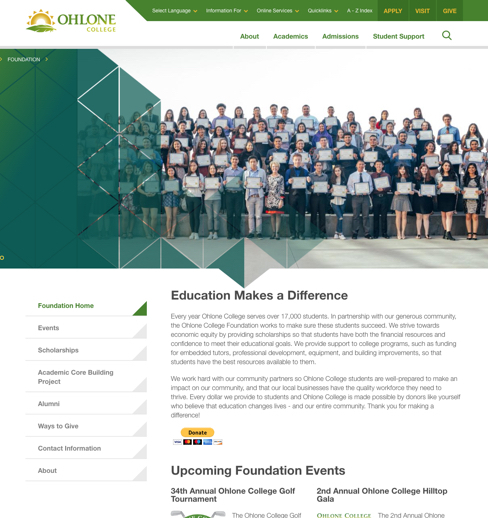 With on-site visits, we were able to bring in the look and feel of the campuses combined with the work produced during Ohlones rebranding. 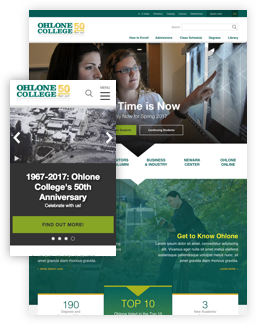 From an old HTML system to a brand new Drupal site we migrated over 7,500 web pages to help move content over quickly. 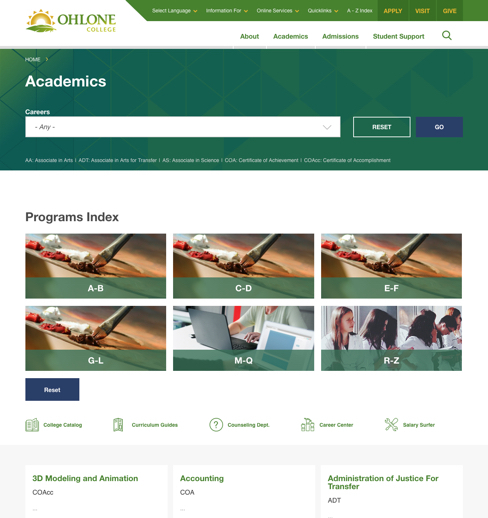 With so much information to convey, a multi-column mega menu was added to allow for flexibility in what links are included. For tablet and mobile users, the menu is replaced with a slide in menu with relatively the same information with a better view for smaller screens. With references to the logos and the angles that it contains, we created a dynamic geometric pattern to lead the user down the page. This also allows for overlapping elements and the use of transparent sections to create a more engaging display. 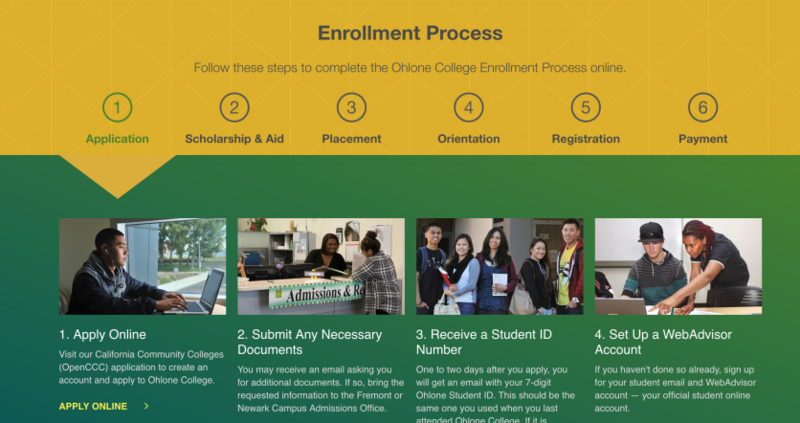 Enrollment was one of the most frequently asked questions and we created a step by step approach to how it's done. 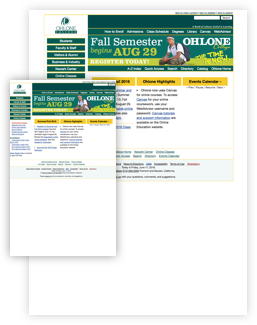 With tabbed functionality, we are able to show more information on the page and per tab. We wanted to keep search functionality available but not take up too much room in the header. 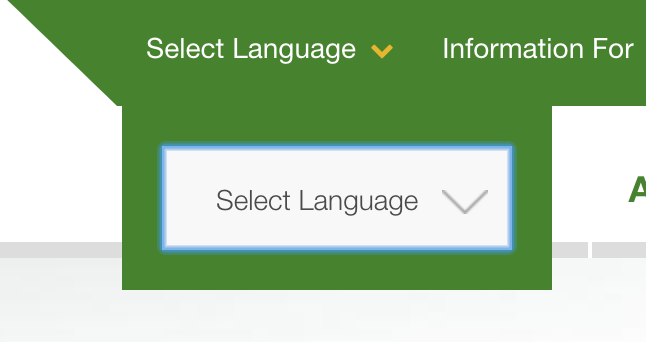 So it may take an additional click to access we allow the user to find the search input through a pop up display. This also helps to translate to a mobile experience very easily.